The Balay Negrense is a museum in Silay City, Negros Occidental in the Philippines, showcasing the lifestyle of a late 19th-century Negrense sugar baron. It is notable for being the first museum to be established in the province of Negros Occidental. The house is of the type called bahay na Bato, literally "house of stone", however, reflecting American colonial influences, the lower storey is not constructed of stone but of concrete. The foundation posts are made out of trunks of the balayong tree, a local hardwood; the floorboards are of the same material. 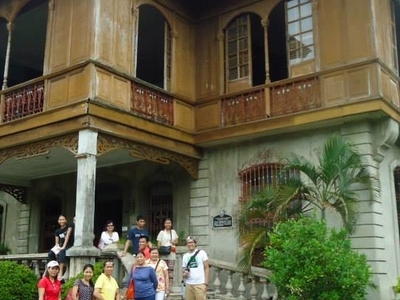 Here's the our members favorite photos of "Museums in Silay City". Upload your photo of Balay Negrense!